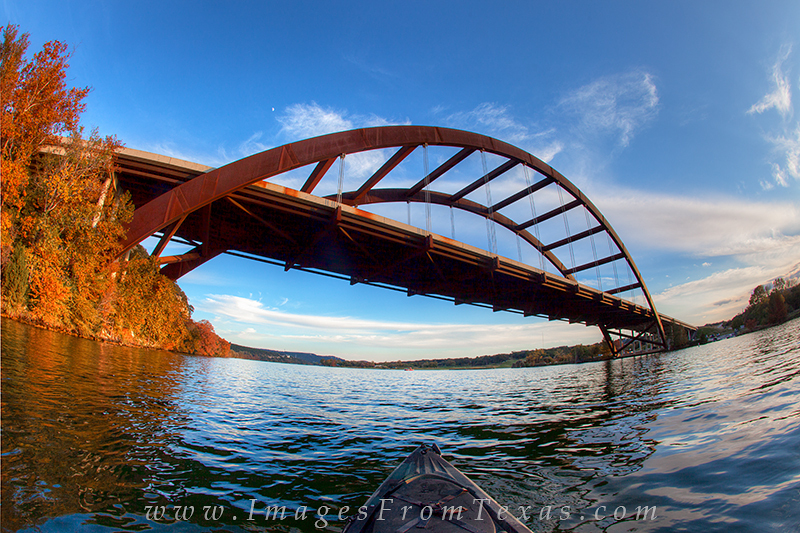 This afternoon photograph of the 360 Bridge outside of Austin, Texas, was taken with a 15mm lens. The leaves were changing colors on this Autumn day, and it was a good day to live in the capitol city. Photo © copyright by Rob Greebon.